We heard your feedback loud and clear: it is hard to keep up with Azure’s pace of innovation. How do you learn about anything and everything new about Azure portal? We’re starting a monthly series to bring to you everything that is new and updated in the Azure Portal and the Azure mobile app. We will specifically cover the areas that affect the user experience and how it affects your daily work. This blog will not announce new services on Azure or bring you what’s new on specific Azure services. We recommend that you follow service announcements to keep up to date with the news for all Azure services. Let’s take a closer look at each of the enhancements listed above. To try out some of the preview features, log in to the Azure Portal preview page. Improved accessibility and updated colors that improve contrast ratios, allowing usage over long periods of time reducing eye-strain. The subscription filter is now available in the top navigation bar. It allows you to configure the default directory, search, sort, and set your favorite directories. 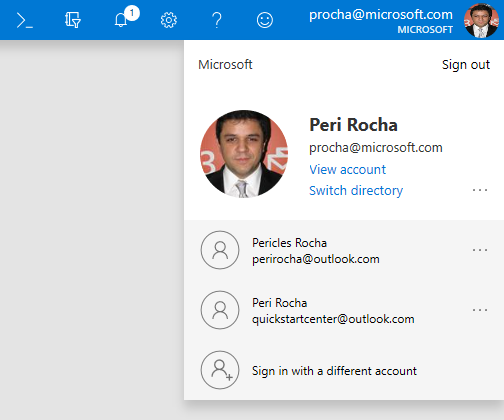 In preview, you now have the possibility to switch between multiple accounts in the same browser instance. Azure Resource Graph (ARG) provides a fast and rich way to query through large sets of Azure Resources. This new experience allows for faster browsing with very large sets of resources. We have also integrated ARG in the global search so you can enjoy a faster experience when using the search bar. You now can now give or revoke access to Azure resources to your co-workers by using the Azure mobile app. 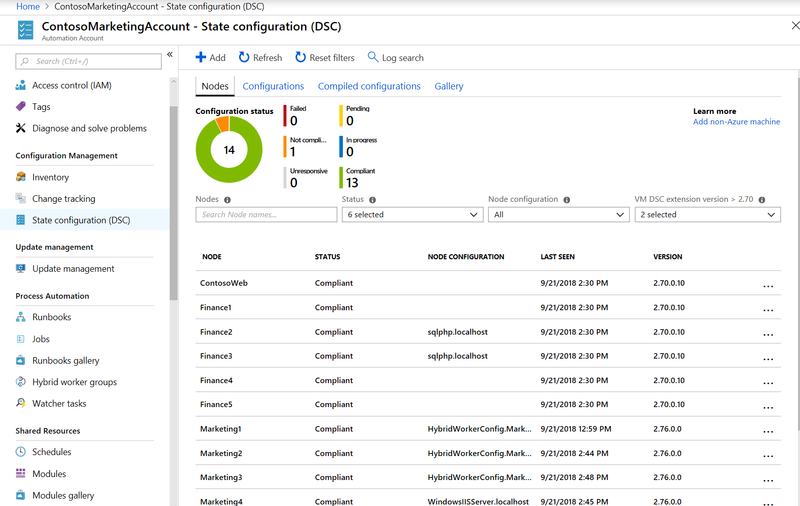 Quickstart Center now includes guides, called “Playbooks,” that help you configure your Azure environment following Microsoft-recommended guidelines for governance. It walks you through RBAC, organizing and tagging your resources, securing your resources, enforcing compliance, and monitoring the health of your Azure environment. Back in May 2018, we started to simplify resource creation in Azure. Starting with AKS and IoT Hub, we revised our designs to make creating resources in Azure faster, more streamlined, and make better use of screen real estate. In this release, we have applied these principles to Virtual Machine and Storage account creation experiences. Added metrics to the overview page. Storage Explorer is now easier to find since it is available as a resource in browse. You can now easily manage multiple storage accounts under different subscriptions in one view. 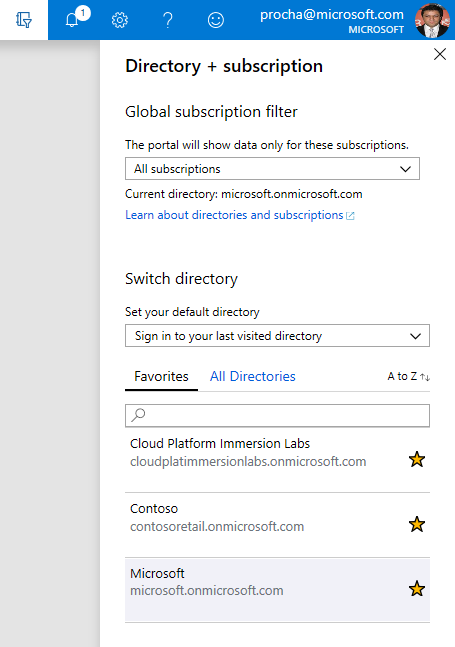 You can now see Azure Advisor notifications directly in the VM overview page. The notification sends you to Azure Advisor where you can learn more and take action. 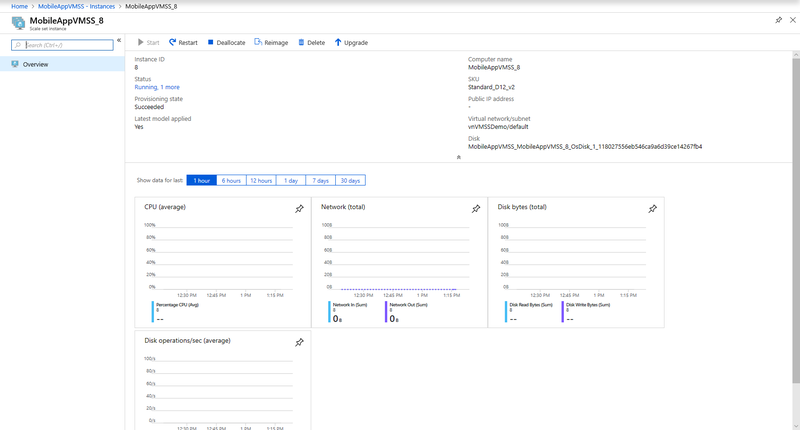 Additionally, we have updated the Virtual Machine blade to integrate the following pages: MSI, VM insights, logs, state configuration, serial console, and performance diagnostics. 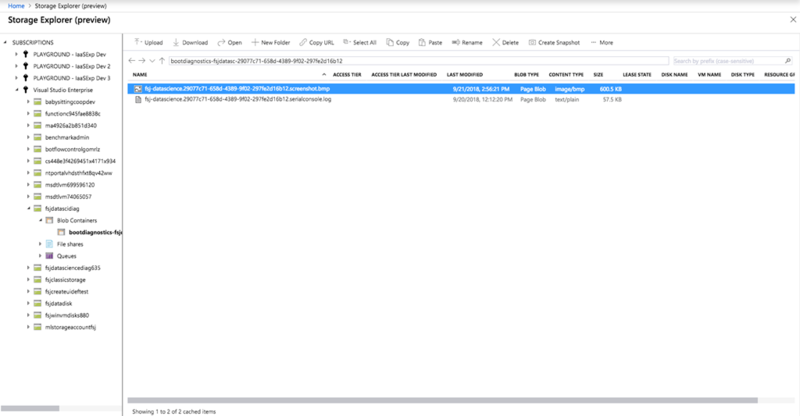 We’ve added a new portal experience for Service Fabric Mesh that displays the status of your services, replicas, and code packages along with the details of each. You can now view the current desired state configuration status for your virtual machines and create ad-hoc configurations to be applied to them. You’ll find a more streamlined experience on Azure Portal for creating and associating sites and hubs on Virtual WAN. 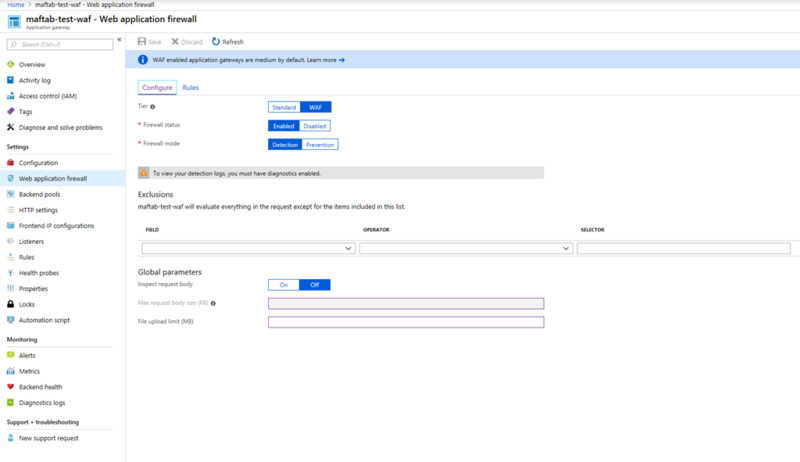 In addition, we’ve added the ability to configure branch-to-branch traffic, as well as preview experiences of ExpressRoute, VPN Point-to-Site, and Office 365 integration in a Virtual WAN. 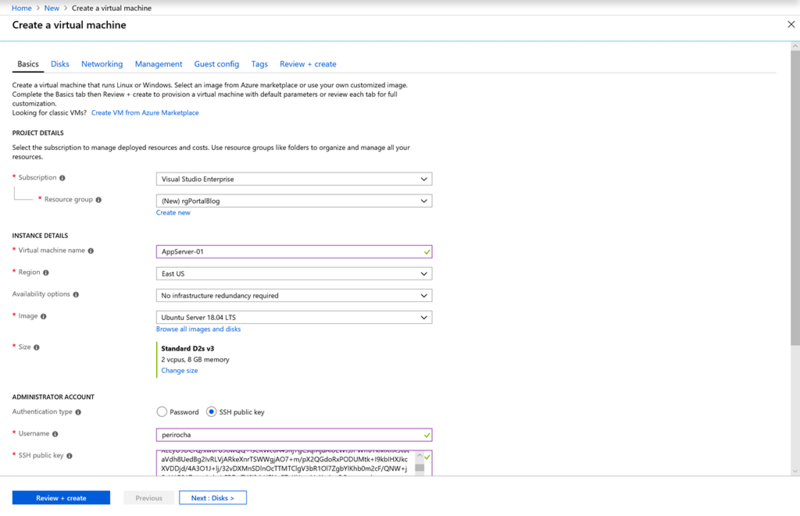 You can now use the Azure Portal for more extensive configuration of your Web Application Firewalls (WAF) in Application Gateway, including the ability to specify a WAF exclusion list and configure the maximum request body size and file upload limit. You now have a simplified view on Activity Log, making it easier to find and filter logs when you need them. We've also improved the performance to make it more responsive. In addition to these changes we started on a journey to connect Notifications and Activity Logs since many entries in both experiences come from the same data source. The first step is showing a link to the activity logs at the top of the notifications list or when the notifications list is empty. 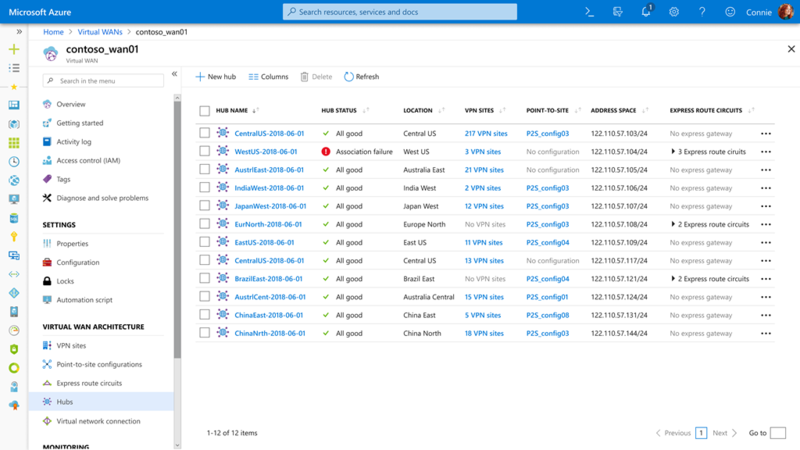 We've heard your feedback on Azure Managed Application Service Catalog, and our first round of improvements feature a better UI and a better UX for both you and your customers. Sorting and searching are now available so that it’s easier for you to find what you’re looking for in the catalog. 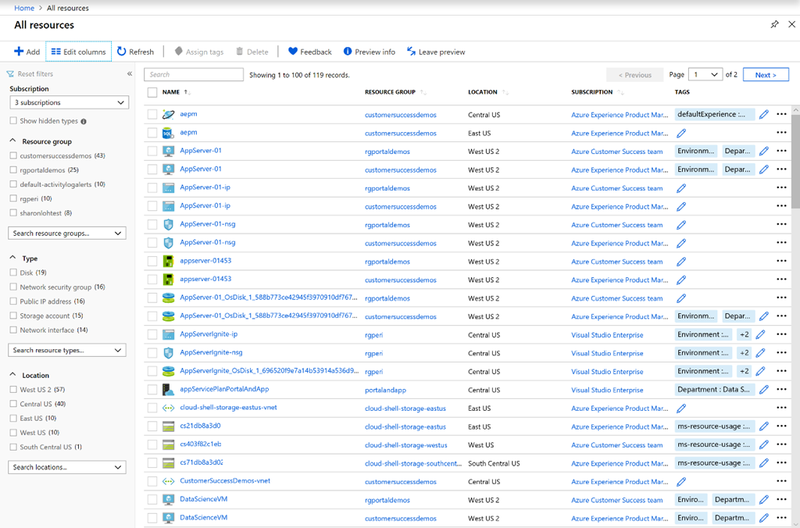 New views have been added for you to view the health and alert state of your managed application. You’ll also see a new Overview page, and a message from your application developer introducing you to the app, and where you can find documentation and help for it. We’ve also added entry points for our brand-new Resource Health blade for surfacing an entire resource group’s health, so you know your application is up and running. 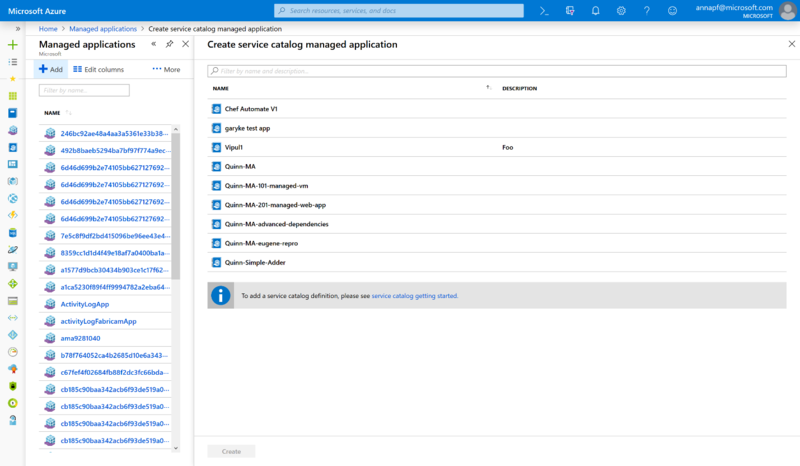 Additionally, Managed Applications now has a view for Azure Alerts to surface any custom alert your application’s developer packages into the application for notifying you of potential problems with it. 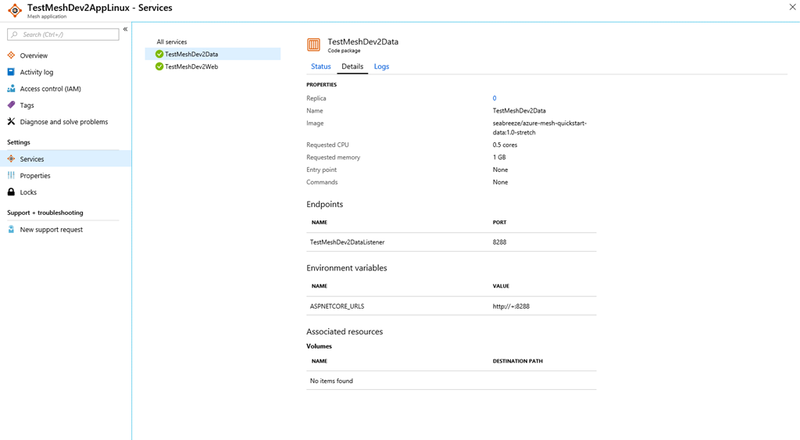 You can now import, author, and run Python 2 runbooks in Azure or on a Hybrid Runbook Worker. From your Python 2 runbooks, you can use Automation resources such as schedules, variables, connections, and credentials. In the authoring experience, syntax highlighting helps you to easily read your Python 2 runbook. You can also upload Python 2 packages to be imported by Python 2 runbooks, allowing you to use custom and third-party packages when running serverless in Azure. Supported package types include Python wheel packages and packages that have been source distribution compressed in the *.tar.gz format. Learn more about importing Python 2 packages in the Manage Python 2 packages documentation page. We have updated the sign in experience when you first enter the query editor to improve the visibility of sign in options. Also, we’ve highlighted the Azure Active Directory auto-login experience to make it clearer. 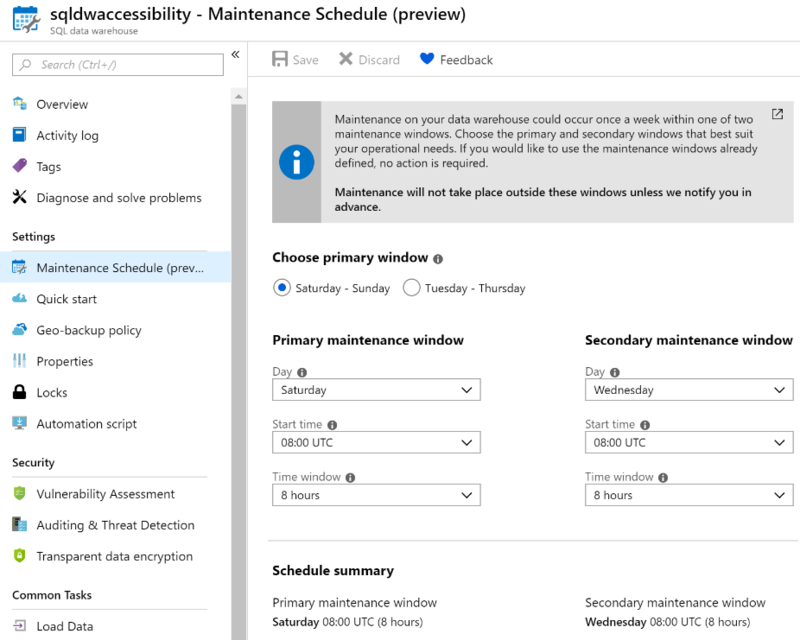 Azure SQL Data Warehouse Maintenance Schedules (preview) allows you to seamlessly configure when service maintenance events are rolled out. 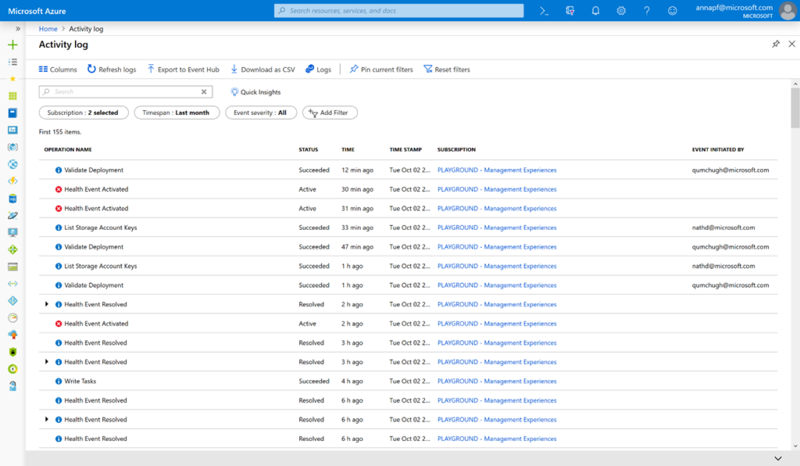 To increase the visibility of Maintenance Scheduling, the new experience is available in the Essentials page of your data warehouse. Tags are name and value pairs that help you identify your resources for management and billing purposes. By tagging your Azure resources, you can retrieve all resources with the same tags across different resource groups. For instance: by tagging resources in your development environment with the name “Environment” and value “Development,” you can easily retrieve all resources in that environment. Learn more about using tags by reading this documentation. Sign in to the Azure Portal and download the Azure mobile app today to see everything that’s new, and let us know your feedback in the comments section, or on Twitter. See you next month!